No injuries were reported from an accident on Old U.S. 35 near Bogus Road Monday evening that damaged an electric pole. Fayette County Sheriff’s Office deputies and firefighters from the Wayne Township Volunteer Fire Department were on hand to contain the scene while Dayton Power and Light dispatched crews to fix the damage. At least one home was out of power because of the accident. 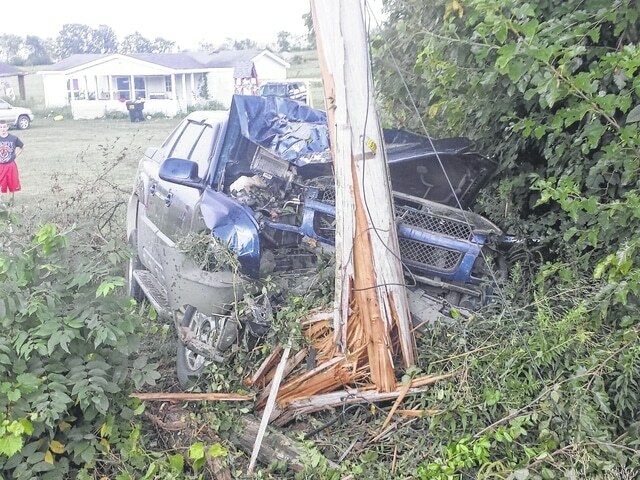 https://www.recordherald.com/wp-content/uploads/sites/27/2016/08/web1_AccidentonOldUS35.jpgNo injuries were reported from an accident on Old U.S. 35 near Bogus Road Monday evening that damaged an electric pole. Fayette County Sheriff’s Office deputies and firefighters from the Wayne Township Volunteer Fire Department were on hand to contain the scene while Dayton Power and Light dispatched crews to fix the damage. At least one home was out of power because of the accident.